I love mosaics as a metaphor for life. 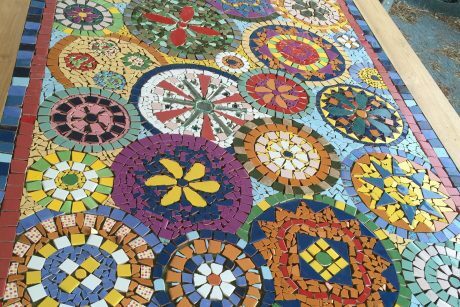 Mosaics is the bringing together of broken pieces to create something whole and beautiful. How fabulous that a creative activity not only feeds your soul (spiritual, emotional, social wellness), but also produces a beautiful piece to enhance your home (environmental). I love that working with mosaics, provides opportunity for mindfulness. Mindfulness is not a new phenomenon, it’s something that’s familiar to many. It is simply being present (in the here and now), and focusing on what is happening and how we are feeling in the moment. It is about creating consciousness around everything we do, always. Anyone can do it. It’s a way of living – LIVE. It becomes transformative, particularly with relationships and how we approach situations – WORK. It underpins activities and brings joy – PLAY. It’s why I call it the Magic of Mosaics. Check out my Lifelong Learning Facebook Page or book a workshop (below). 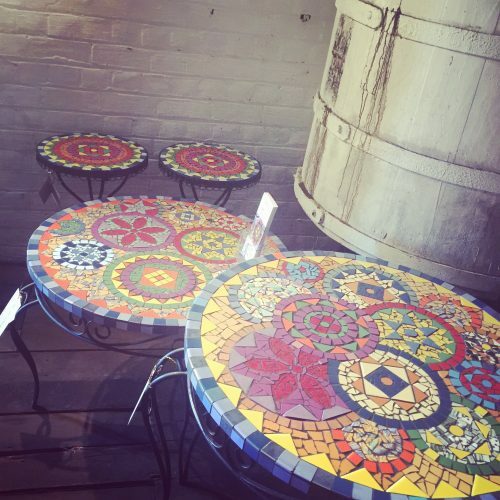 These pieces were exhibited at the annual Vino Art Exhibition, held at Coorinja Winery in Toodyay. The pieces are (1) dining height table, (2) coffee height table and (3) 2 x side tables. I have pics of the various stages of creation; from the refurb of the tables, through to cutting, placing and glue-ing tiles to grouting and polishing. I love playing in my shed and creating. I have 2 further tables on the go, stay tuned. 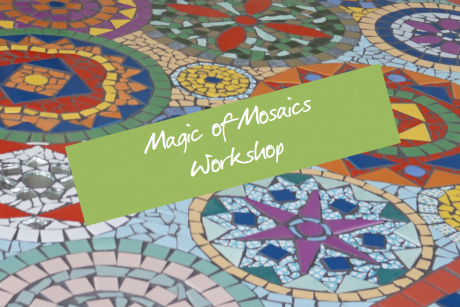 Come and experience the Magic of Mosaics? Check out the workshops below or contact Di to discuss your project.